The Superfast North Yorkshire team will be visiting Bentham to explain to the local community why faster broadband is such good news. Around 1,700 homes and businesses in High Bentham, Low Bentham, and the nearby village of Burton in Lonsdale, will be able to benefit from the high-speed, fibre technology by the end of this year. The first connections are expected to be made available later this month. Members of the Superfast North Yorkshire team will be at Bentham Library between 09.30am and 13.30pm on October 14 to demonstrate the benefits that the new technology will bring and answer questions about the roll-out. Business experts will be on hand to give advice to local firms and offer free services such as training workshops, skills master classes and business development events. A mobile showcase will also be at the nearby Auction Mart on Main Street exhibiting how the technology works and giving visitors an interactive taste of what superfast roadband has to offer. Councillor Carl Les, chairman of Superfast North Yorkshire said: “Faster broadband has an essential role to play in boosting the local economy and building a more prosperous future for people living and working in rural North Yorkshire. The task to bring fibre to the Bentham area from BT’s main network involved connecting it to the telephone exchange in Kirkby Lonsdale. This involved building one of the longest fibre feeds or ‘spines’ of the Superfast North Yorkshire roll-out to date. More than 10 miles of spine has been put in place using some existing, and some newly built, underground ducts with some of the route requiring traffic management to ensure engineers safety as they worked. Engineers have tackled the River Lune and the A65 along the way, as well as clearing underground blockages and using giant vacuums to clear silt and debris washed into the ducts by rainwater. Tom Keeney, BT’s regional partnership director for Yorkshire and the Humber, said: “Bringing superfast broadband to rural areas is a challenge as the task of bringing fibre to the Bentham area has demonstrated on several occasions during engineering work. Superfast North Yorkshire, a partnership led by North Yorkshire County Council and BT, is behind the imminent arrival of fibre broadband in Bentham and and for making it available to more than 120,000 other homes and businesses across the county. 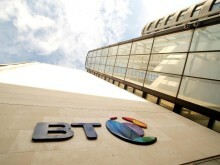 BT was chosen as the private sector partner in the project following an extensive selection process by the county council. The company is contributing £10 million towards fibre deployment in “non-commercial” areas whilst the county council is using its £17.8 million share of Broadband Delivery UK funds and a further £8.6 million coming from the European Regional Development Fund . The project is investing an additional £8m in funding to push the deployment of fibre even further with the aim to make the technology available to an additional 11,100 homes and businesses across England’s largest rural county. To help businesses in North Yorkshire take advantage of the faster broadband speeds a support service has been put in place to provide free services such as training workshops, skills master classes and business development events. This will demonstrate how faster broadband connections can help to develop business and increase profits by maximising efficiency and productivity. For more information call 0845 0020021 or email: enquiries@sfny.co.uk. Due to the current network topography, and the economics of deployment, it is likely that some premises within the selected exchange areas will not initially be able to access fibre-based broadband. Alternative solutions for these locations are being investigated. • £150m to improve quality and coverage of mobile phone and basic data network services. Superfast North Yorkshire was created in July 2012 following the signing of the contract between North Yorkshire County Council and BT, which will see a total fibre broadband investment in the county expected to reach around £70 million. North Yorkshire is the first county in the UK successfully to deploy Broadband Delivery UK (BDUK) funds, which will be used to extend the roll-out of faster broadband across the county. The project will reach those areas outside of any commercial roll-out using a partnership approach to ensure all communities have access to the fastest possible broadband speeds.